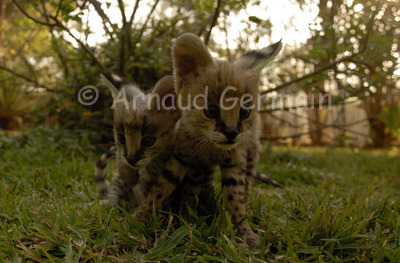 These two serval kittens were found in the centre of Lilongwe. A large area had been cleared and obviously their mother had left them. They were rescued by the Lilongwe Wildlife Centre and bottle fed. I took this picture not long after they had been rescued, with the camera as low as possible, and my 18 mm lens.